Don’t you just love seeing lighthouses standing tall, pounded by waves and buffeted by winds, but still shining their light across the sea? Some of the most breathtaking scenery along the coastline includes sweeping vistas dominated by lighthouses. 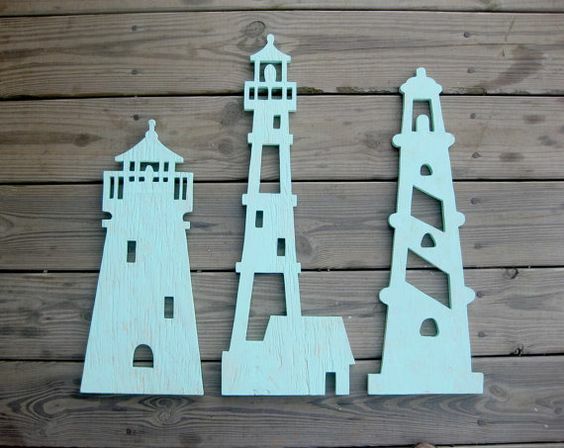 Inspired by those views from beachside vacations, people love using lighthouses as a decorative theme in their homes. 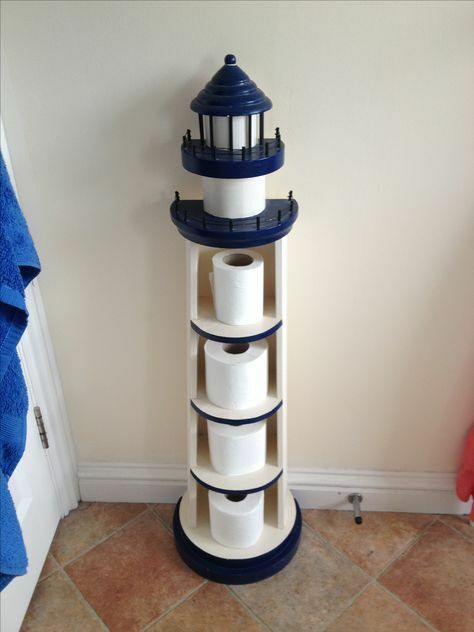 As essential as it is creative, this toilet roll holder definitely comes in handy! Even the top two sections appears to be rolls, if you look carefully! 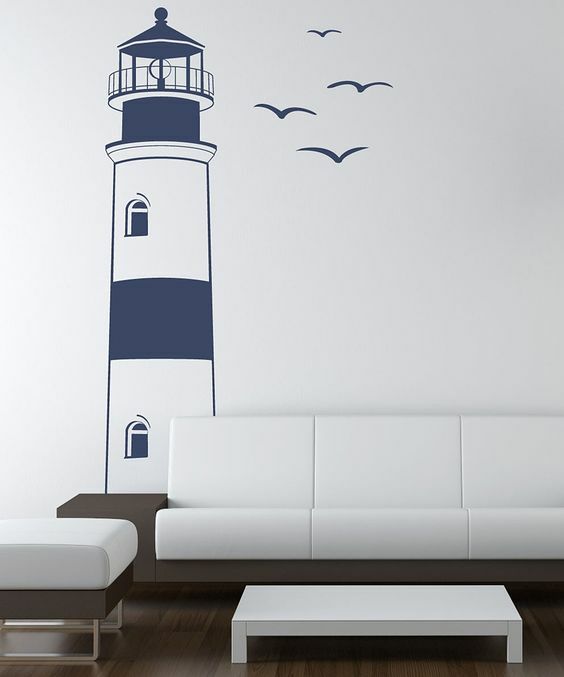 This simple, minimalist lighthouse mural blends perfectly with the modern chic feel of the room. 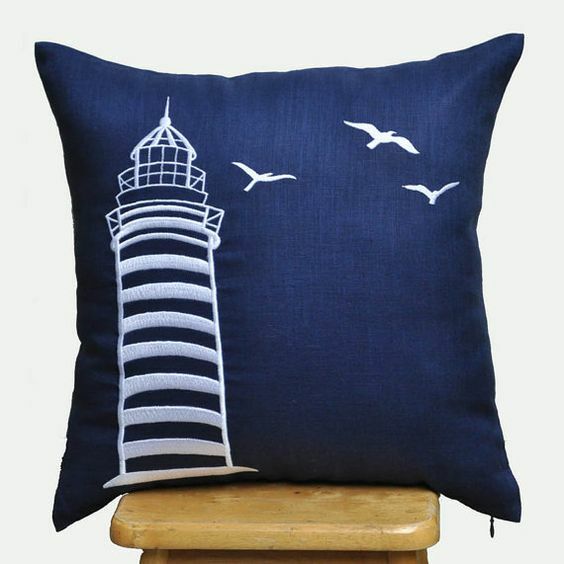 Evoke the cries of seagulls and the ocean waves with this simple blue and white cushion. Fortunately these gulls won’t shriek you to wakefulness! 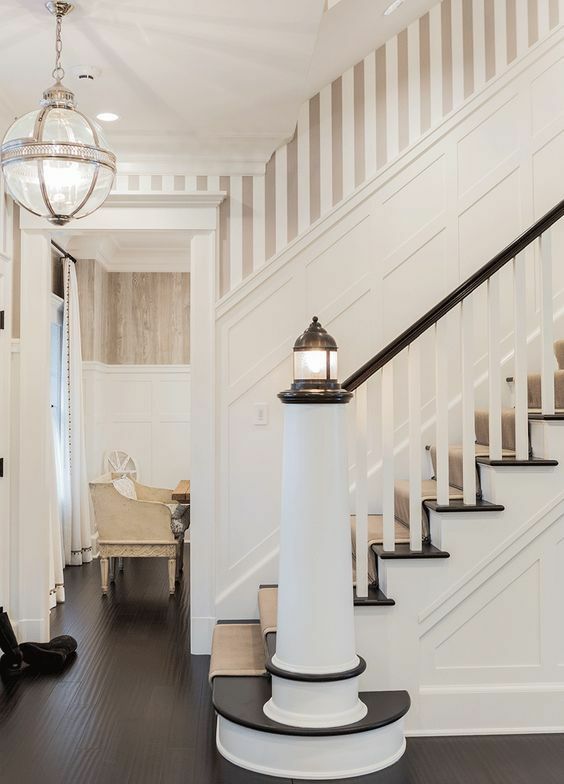 A white newel post shaped like a lighthouse serves as a lamp and also warns approaching ships of dangerous stairs! 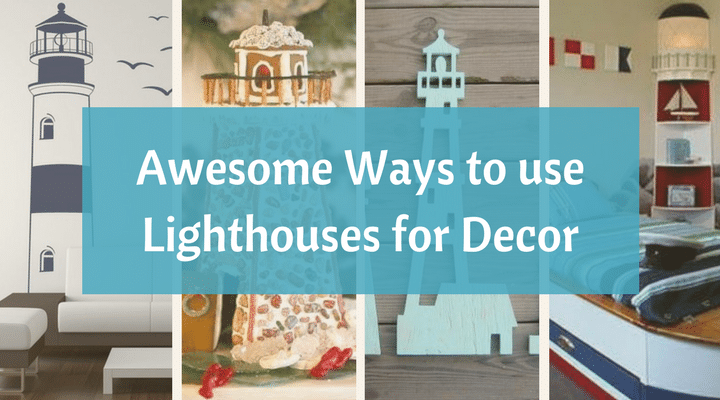 Hand-crafted lighthouses made of driftwood wood can be used for a nautical theme. Add some model ships and starfish to complete the effect. A small quote in a simple white frame brings a feeling of comfort, and matches well with any kind of decor. 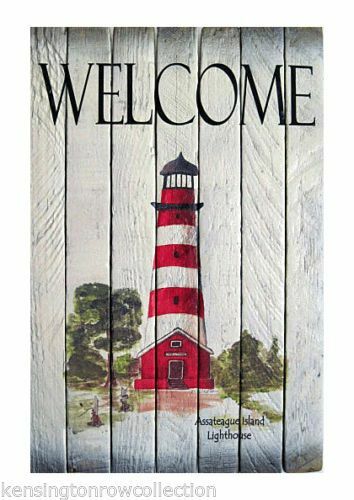 A fine piece to adorn your living room or entryway wall, this hand-painted lighthouse on wooden boards combines a rustic feel with a rural landscape. 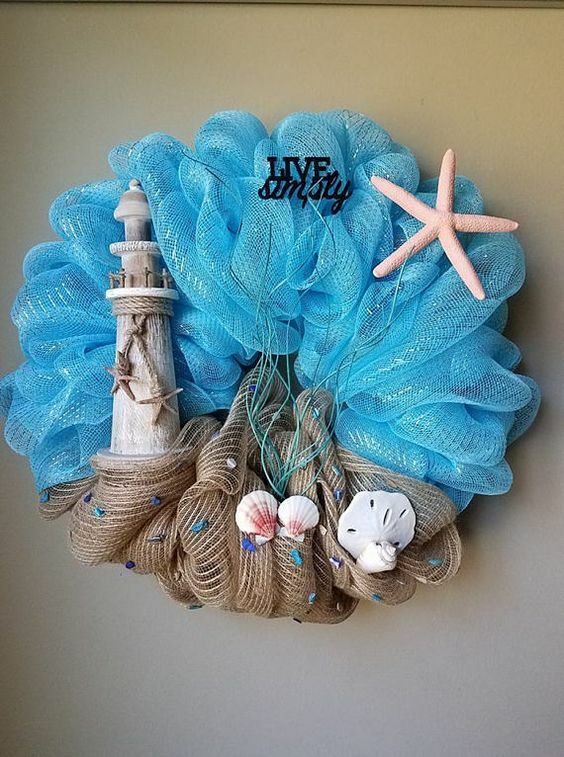 Sea shell, starfish and a small lighthouse adorn this mesh decoration, suitable for the living room, dining room or over the stairs. 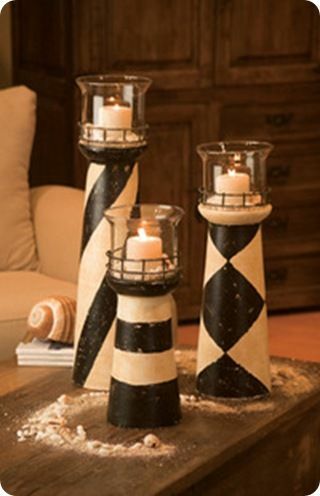 Lighthouses make for interesting candlestick holders, and some sea shells and sand can enhance the look. Lighthouse-shaped cutouts create a bold playful look that’s good for both indoors and outdoors. 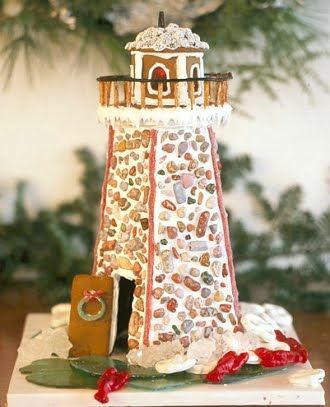 A playful take on a gingerbread house, this lighthouse looks like it’s made of gingerbread! It’d make for a very sweet special occasion! 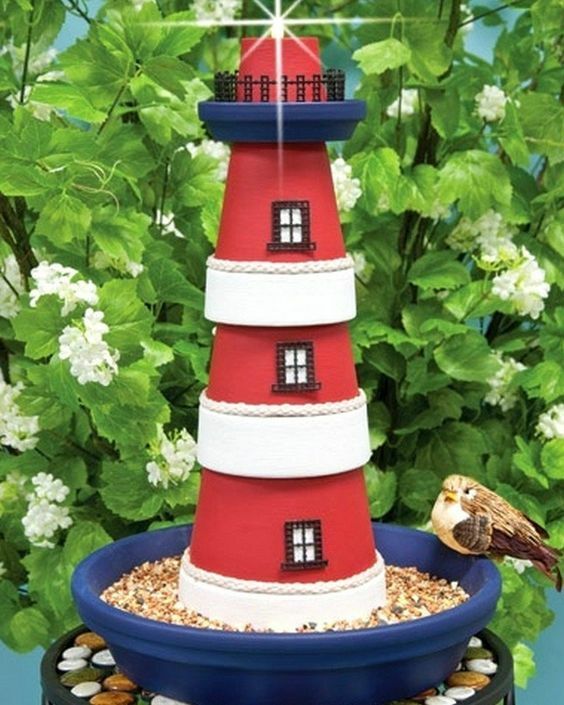 What better way to attract our feathered friends than a bird feeder with a bird lighthouse? Your garden will be the talk of the town for the birds! 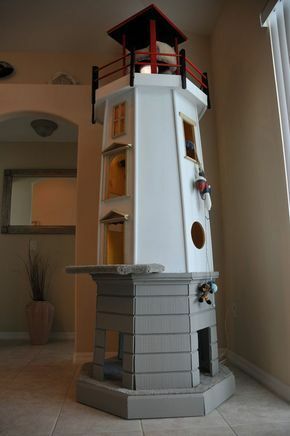 Your cat will love playing with toys hanging from this large cat playhouse in the shape of a lighthouse. Cats need a good workout from time to time, and this playhouse will definitely keep them occupied. Simple wall art with a twist! 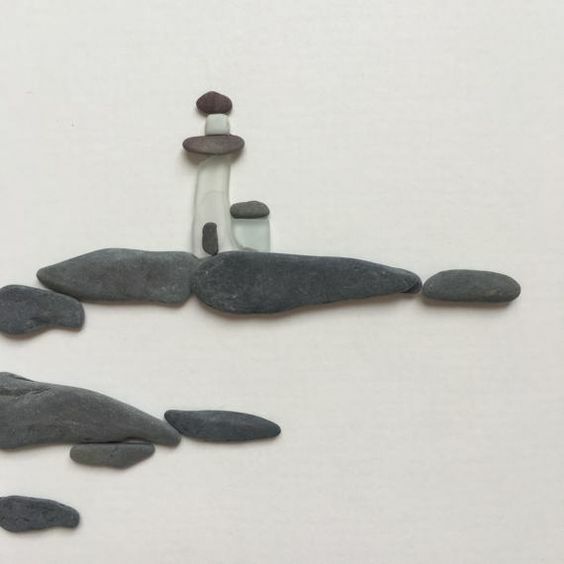 Use smooth flat stones to create a shoreline and bits of sea glass and pebbles to form a lighthouse. 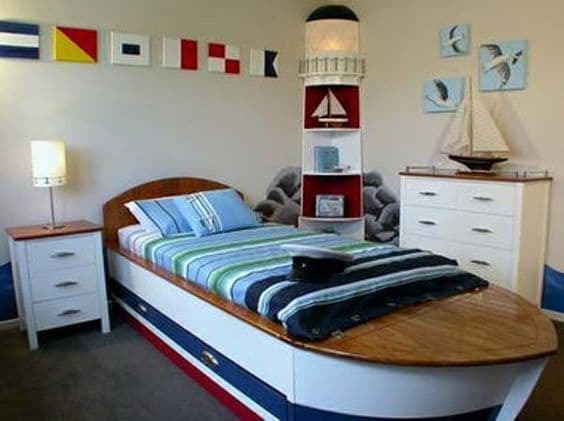 For the adventurous young seafarer, this boat-shaped bed with lighthouse-shaped shelving is the way to go. 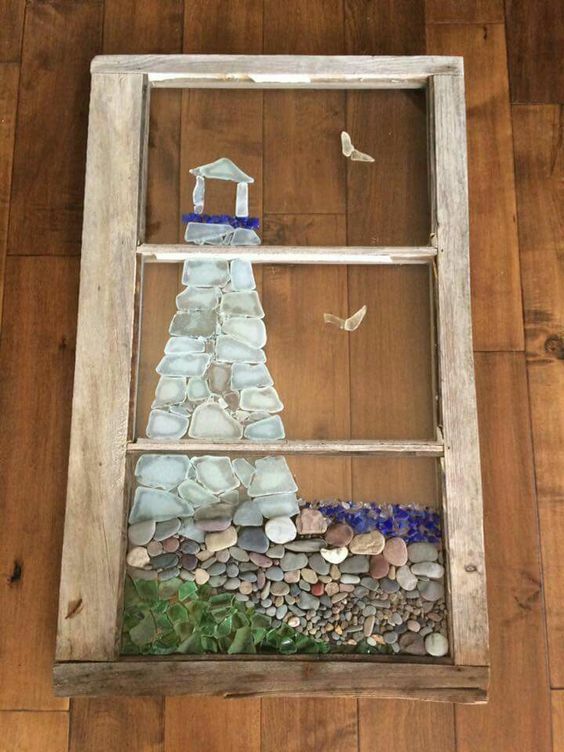 Both delicate and creative, this framed lighthouse artwork utilizes natural materials like pebbles and man-made sea glass to great effect. The tall, tapering shape of a lighthouse is ideal for a bookcase or two. Put it in the kids’ room and you could have books for a younger reader on a lower shelf, and a slightly taller scholar on the higher levels! 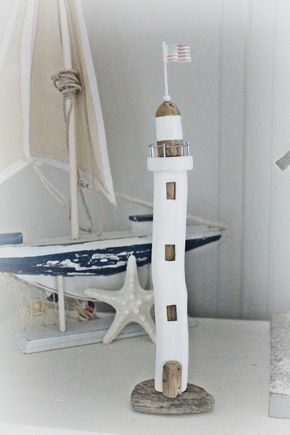 This lighthouse-shaped lamp will brighten up any room and provide a seaside feel. 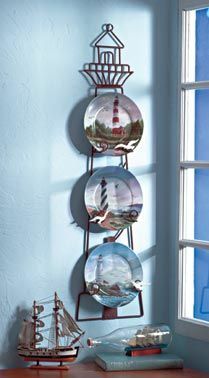 This metal frame dish rack with colorful lighthouse art plates is great for the dining room or living room. Accentuate the look with a model ship or impossible bottle. 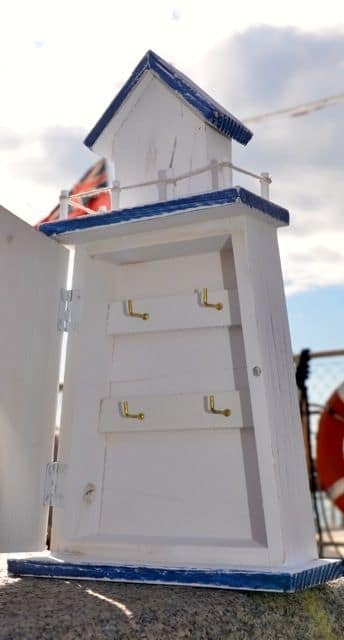 This tiny hook rack shaped like a lighthouse can be used for keys or personal items near the pool. 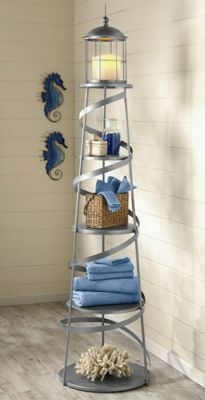 A stylish spiral rack with shelving for towels and topped with a candle is ideal for the bathroom or bedroom. As you can see, lighthouses are extremely versatile and can fit in anywhere when used for decorating. 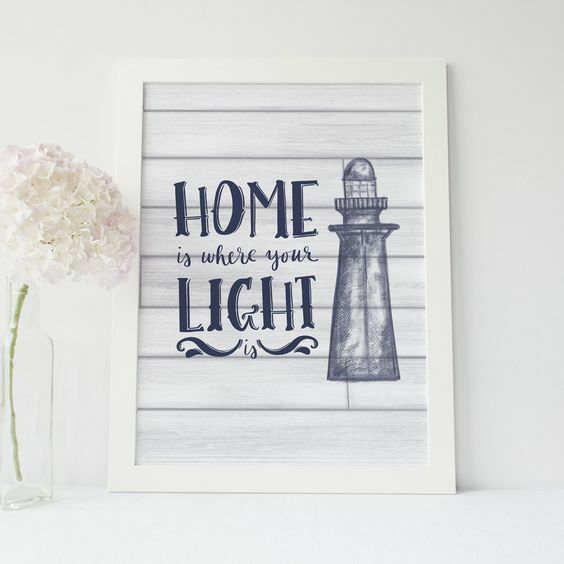 Have you ever decorated your home with a lighthouse theme? We’d love your feedback!